The Rockoff Center (Andover) - Book Appointment Online! 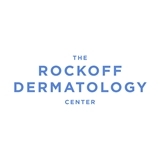 The Rockoff Dermatology Center, with offices in Brookline and Andover, MA, is a full-service practice. Along with his associates Dr Katherine Fening, Megan Webb, PA-C and Eileen Cheever, PA-C and Nelya Lashtur, PA-C, Dr. Rockoff offers dermatology services, including diagnosis and treatment of acne, rashes, and skin cancers, including annual skin checks for moles and skin cancer. The Rockoff Dermatology Center also offers laser, cosmetic, and skincare services, featuring state-of-the-art lasers and other light-based medical devices. Under Dr. Rockoff’s supervision, Mary Carpinito, RN treats patients with wrinkles, scars, unsightly red and brown spots, spider leg veins, tattoo removal, chemical peels, and gives skincare advice for patients with acne, rosacea, and sun-damaged skin. Very kind, and took me early!